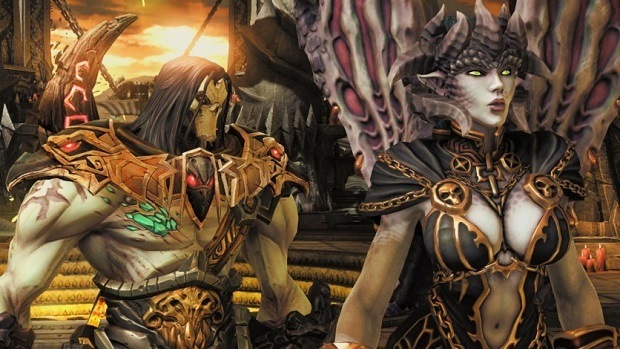 The much-fancied hack-and-slash franchise was thought to have succumbed when its parent company THQ filed for bankruptcy in 2012. 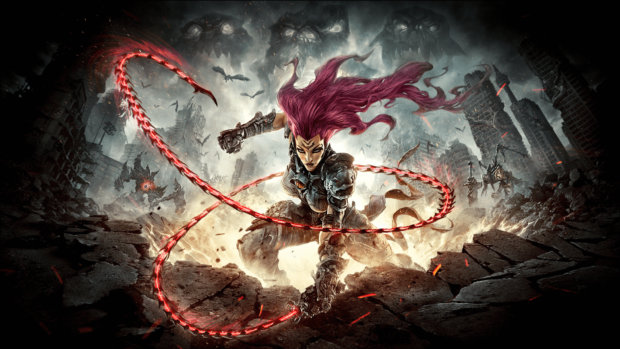 However, as fate would have it, even such a dire incident would not be enough to thwart Darksiders III from continuing the post-apocalyptic tale more than six years later. According to an official announcement earlier today, the upcoming sequel is all pegged to release later this year on November 27. There are five different editions to choose from, each bundled with a variety of pre-order bonuses. There is even an oversized and overly expensive collector’s edition for those interested. 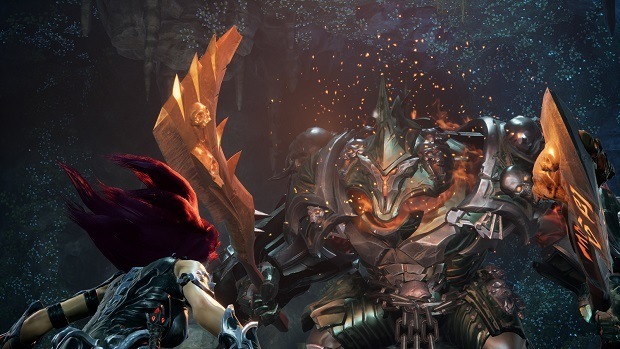 The extensive wait for Darksiders III may have made fans foggy about the events that have taken place in the previous two installments. With only a few more months remaining, here is a quick refresher on the lore to get you ready in time. There is an ancient war that has been fought between heaven and hell for eons without either side gaining any significant advantage over the other. Their battles continued to ravage the universe until a mediator group called the Charred Council intervened to restore balance and order. The cosmic entity created a warrior brotherhood — the Four Horsemen of the Apocalypse (War, Death, Strife, and Fury) — to enforce law and maintain peace. This truce was agreed to last until seven seals, forged by the councilmen, were all broken to signal the coming of Armageddon. Until the appointed time, neither heaven nor hell shall attempt to instigate the final battle. Should there be a need, the horsemen remain standing by to ride when called upon. War, the youngest of the horseman, was summoned on earth in the present timeline because the last seal had apparently been broken. He arrived to find angels and demons locked in combat, with mankind caught in the middle. After confronting Abaddon, the general of the angelic forces, War discovered that he was the only horsemen to have arrived and the last seal was still intact. Abaddon, still surprised over why one of the horsemen was there, was then killed by Straga, the general of the demonic forces. War himself was also defeated but saved from death by the Charred Council. In an immediate hearing, War was accused for destroying the balance and bringing about the apocalypse prematurely by siding with Hell. He denied these allegations and demanded a chance to clear his name. This request was fulfilled by the councilmen and War was sent back to earth, weakened as punishment, to find the real culprits behind this alleged conspiracy. When War returned to earth, a century had already passed since his first summoning. The death of Abaddon had allowed the forces of hell, now led by the Destroyer, to push the attack and overwhelm the armies of heaven. What remained was just a meager angelic resistance, stranded on earth where mankind had been completely annihilated in the aftermath. War would later learn that Azrael, the angel of death, had conspired with Abaddon to bring about the apocalypse early because they feared any more delay would allow hell to grow more powerful. This was the proof that the horseman needed to clear his name but the conspiracy only went deeper. It turned out that Abaddon was sent to hell after his death where he agreed to become the Destroyer and lead the demonic forces in battle. Even worse was the revelation that the Charred Council was fully aware of these events in advance but still allowed the apocalypse to start early, framing War when knowing that the other horsemen would not act without proof. War, not intending to leave things as they were, raided the Black Tower to defeat the Destroyer. The last seal was then broken to restore War to his original power, freeing him from the Charred Council and officially starting the apocalypse. His actions leading to that point had now pitted him against not only hell, but also heaven and the councilmen. However, he was no longer alone in this conflict as the other three horsemen finally descended from the sky to come to his aid. What happened in Darksiders II? Death, the eldest of the horsemen, knew from the beginning that his brother was innocent. When the Charred Council blamed War for destroying the balance, Death set out to erase the crime itself by somehow resurrecting humanity. Through the Crowfather, the keeper of secrets, Death learned that he would have to go to the Tree of Life in order to fulfill his personal mission. However, a corruption had begun to spread through worlds that needed to be first cleansed to open the way forward. This dark force was later revealed to be the doing of Absalom, the first Nephilim, who was slayed by Death himself eons ago. Following several trials, Death managed to enter the core of the tree where he defeated Absalom in battle once again. With the corruption gone, the Crowfather appeared to explain that Death could not restore humanity without a sacrifice. Not to be deterred in his quest to save his brother, Death offered himself as a willing sacrifice. However, death cannot simply die. The horsemen would later join his other siblings as they made their way toward War after the last seal was broken. 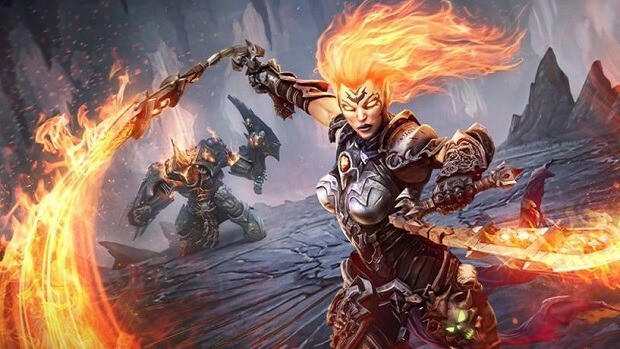 What happens in Darksiders III? Fury, the sister of the horsemen, will be ordered by the Charred Council to destroy or imprison the Seven Deadly Sins (Pride, Greed, Lust, Envy, Gluttony, Wrath, and Sloth) that escaped during the final battle between heaven and hell. This will be right after the councilmen accused War for starting the apocalypse prematurely, directing Fury to restore some balance to a war-torn earth. Hence, the upcoming sequel will also take place parallel to the events from the previous two installments. Until more information is released by the developer, it cannot be said what will lead Fury to finally join the other horsemen once the last seal is broken.